Cardi B No Silver Spoon ... But Definitely a Silver Crib!!! 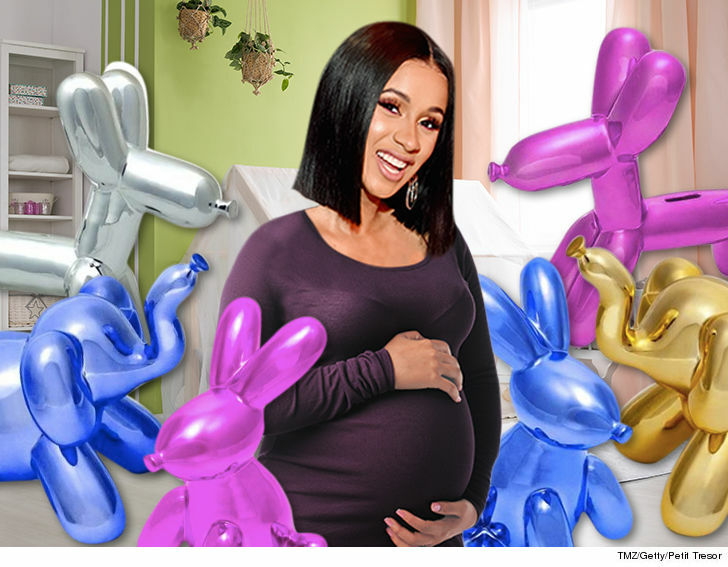 Cardi B's baby isn't even born yet and already the kid's got TWO shiny cribs. 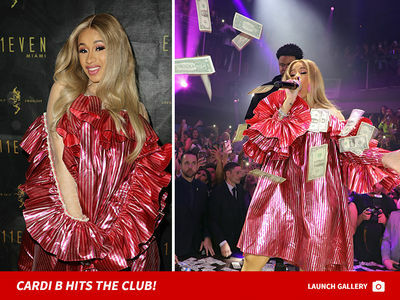 Sources familiar with the situation tell TMZ ... Cardi's people reached out to the baby boutique store Petit Tresor in Bev Hills and picked out a bunch of items for Cardi and Offset's baby's nursery. They definitely had a theme in mind -- everything metallic!! The couple was going for a glam, regency Hollywood vibe ... and the choices definitely delivered with a silver crib that runs around $1,000. They also picked out a bunch of balloon animal decorations that look like Jeff Koons sculptures. Those were colorful but the rest kept with the theme, like a Moroccan Pouf in metallic gold and silver and an Incy Ellie rose gold crib. While everything's metallic and it doesn't exactly scream the baby's gender, Cardi's sister kinda spilled the beans on an IG post referring to the baby as "her." Nothing like being born in the glam of luxury.